Education is a way by which children learn to make a difference between good and bad things. You would understand everything by observing at the beginning and its development. The function of education is to teach one to think intensively and to think critically. That is why it is said that education is the most powerful weapon which can change the way one think and understand. Education gives us knowledge of the world around us. You can change the world into something better. It helps to build opinions and make a different point of view on things in life. Having a good education is essential to one’s success in life. Without good education, you will find it hard to achieve success in life. It makes you able to think for yourself and for others. Learning is the product of the activity of learner. Proper education will develop your inner qualities. Sometimes, the roots of education become bitter, but the fruit is always sweet. The aim of education is knowledge, not facts but of values. If you are educated, it makes easy for you to achieve your goals. It is true that an educated person gets respect everywhere. Not among people, a good education can sharpen the mind of a person. For a child, it might difficult to go to school first. He does not know the importance of education in his life. But in his growing age, with little understanding, he will be able to see the difference in him. Education is the most powerful weapon in the world which can change everything. 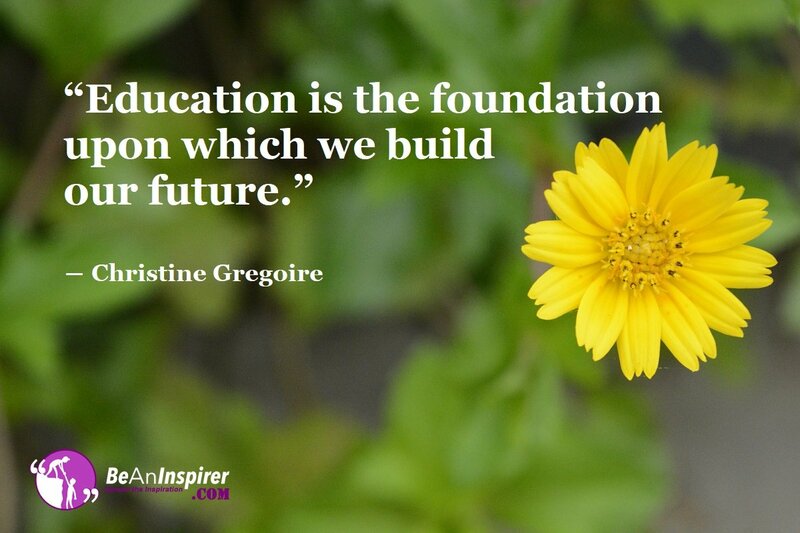 Education is not only about past or present, but it is also the key to the future. With mere knowledge on anything, you cannot go ahead and change the world. You must have knowledge and understanding of the scenario, then only you can work on it. An uneducated person is like an animal that can see everything, but cannot do anything for a change. You might face difficulties in life without proper knowledge. Knowledge can be acquired with a better education. Are You Ready To Step Ahead to Bring a Change in the World? Do you want to bring change to the world? Education is the most powerful weapon that you can use to make the right changes in the world. It is the key to get success in the future with proper knowledge and guidance. Share your thoughts and inspire all of us. Let share your ideas in the comment section below.